What if death were to mark a beginning, and not an end? 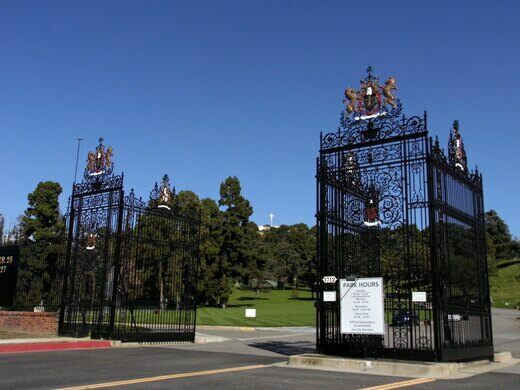 What if the "pearly gates" were 80 feet tall and wrought iron, like those at Buckingham Palace? 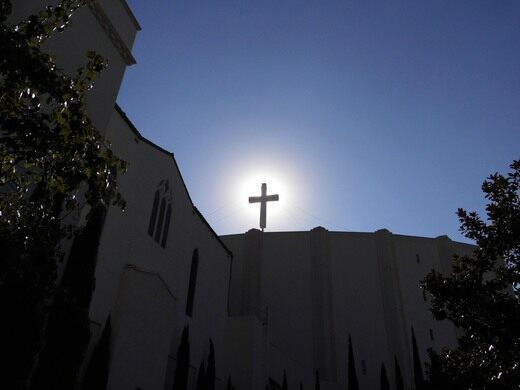 If that's what dying and going to Heaven is like, then all you have to do is visit Forest Lawn Memorial Park in Glendale to catch a glimpse of it. 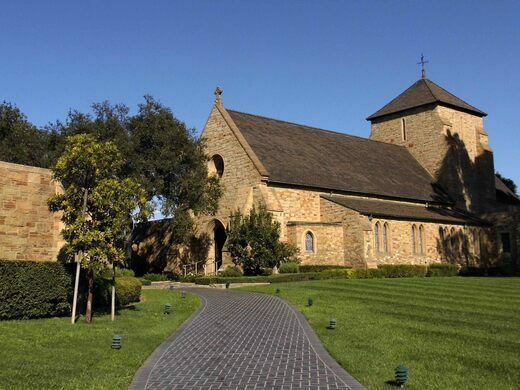 Join Field Agent Sandi Hemmerlein on an excursion to the original Forest Lawn—the first cemetery in the U.S. to forbid creepy headstones and monuments in order to keep its rolling hills flat, with an uninterrupted view. Its proprietor Hubert Eaton was more showman than funeral director, and so in 1917, he created the most Hollywood of cemeteries there ever was (and still is). Thanks to Eaton, mourners could forget all about the grisly death stuff and pretend their visit to the dearly departed was just a walk in the park. 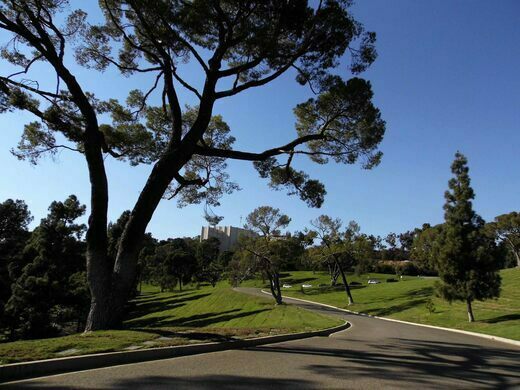 The feel-good Forest Lawn surrounds the buried with an amusement park of attractions to distract its visitors—and residents—from death. 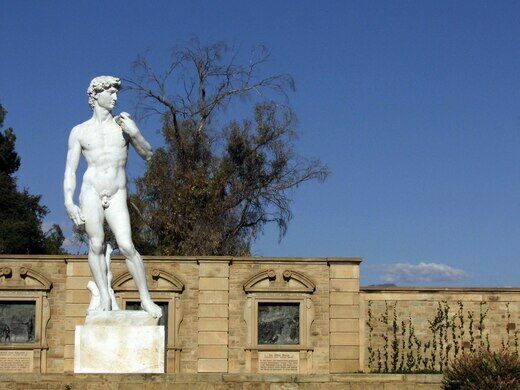 On this funerary field trip, you'll see extensive statuary, a stunning collection of stained glass, masterful reproductions of famous fine art pieces (including Michelangelo's David and Pieta), gardens, and historic architecture—which explains how a cemetery was the most popular tourist attraction in Southern California until Disneyland opened. 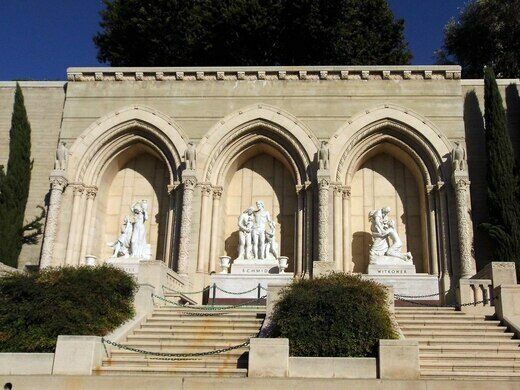 But even though its statues have stopped talking, Forest Lawn still attracts over a million visitors per year, as well as the top echelon of deceased celebrities. This Disneyland of Death even includes the final resting place for Walt Disney himself. We'll be joined by Forest Lawn expert Tim Kirk, who wrote the narration accompanying the world's largest religious painting, housed in the Hall of Crucifixion-Resurrection. 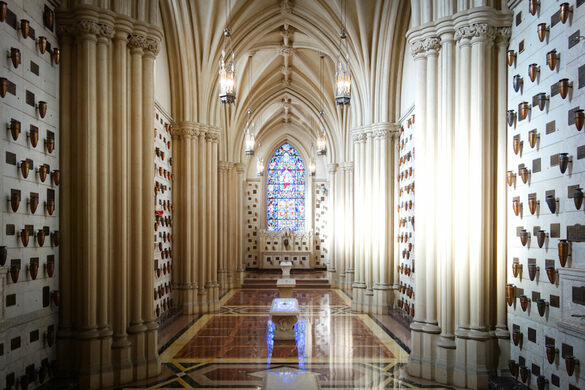 He'll guide our visit through the hall, the neighboring museum, and the Rudyard Kipling-inspired Church of the Recessional, while writer Sarah Troop (Death Salon, The Order of the Good Death) helps us embrace our own mortality and understand the wide range of rituals surrounding death. 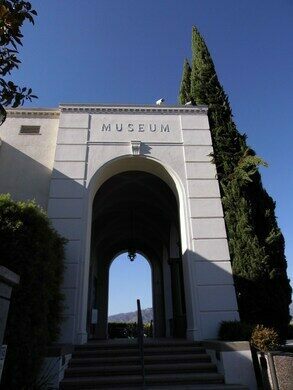 Forest Lawn is practically a city unto itself, sprawling across over 300 acres, so we'll only focus on certain areas of this Hollywood necropolis. But we will arm you with maps and give you the option to visit other cemetery attractions after our official tour concludes—including the Wee Kirk O' the Heather, The Last Supper rendered in stained glass, and burial sections with dreamy names like Babyland, Slumberland, Lullaby Land, and Vesperland. - Exact meeting spot will be emailed to confirmed attendees / ticketholders. - Plenty of free parking available onsite. - Photography is not allowed inside some of the structures. - Please be respectful of the dead, their family members, and other mourners. - Rain or shine. Our tour includes some easy, flat walking outside between buildings, so wear a hat and comfortable shoes. - Please ensure that children under age 16 are accompanied by an adult. 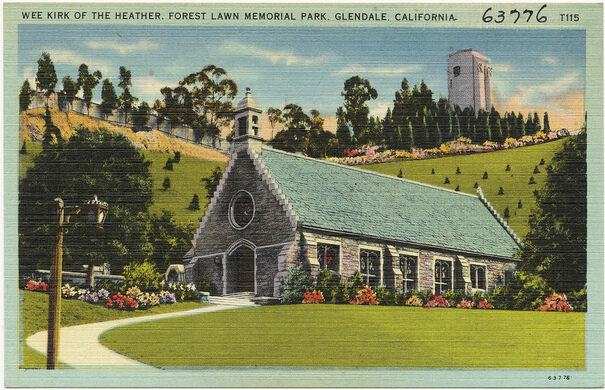 - You must adhere to the Forest Lawn Visitors' Guide: no smoking, no picnicking, no pets, and no loitering. Please do not disturb wildlife (that means no feeding the birds).